Around 500M Africans, Indonesians, and Indians are regular Internet users without a landline. Brazil, Indonesia, and Mexico add about 200M more. In total, something like 1B people were wireless-only at the end of Q3 2017. I'm comparing the number of Facebook users (over 250M in India) with the number of landlines (less than 20M in India) for a rough guess at how many are wireless only. In the developed world, 70-90% of all homes have a landline connection, implying fewer than 100M are wireless only. The Global South has about 500M "connections," approximately 450M wireless and 50M wired. The Global North has about 450M. About 65% of Internet users are now in the Global South. The gap is increasing by about 50M/year. With many wireless users on 4G LTE at more than 10 megabits down, wireless needs to be considered to understand the primary connections to the Internet today. In particular, the Global North dominates ICANN, 3GPP (until recently,) and the Internet Society. The U.S. under Trump continues to demand these groups make the rules for the net. The 65% of the world in the Global South think that's reprehensible, particularly as the economic terms of "Internet Governance" are set by the richer countries. In 2012, I predicted that systems virtually excluding the majority of Internet users would prove unstable; we've seen the development of the World Internet Conference & the BRICS events become more important. Russia is setting up their own Internet root. Wired connections are shared among the household. I'm therefore adjusting from ~1B people using wireless only to ~500M "connections." 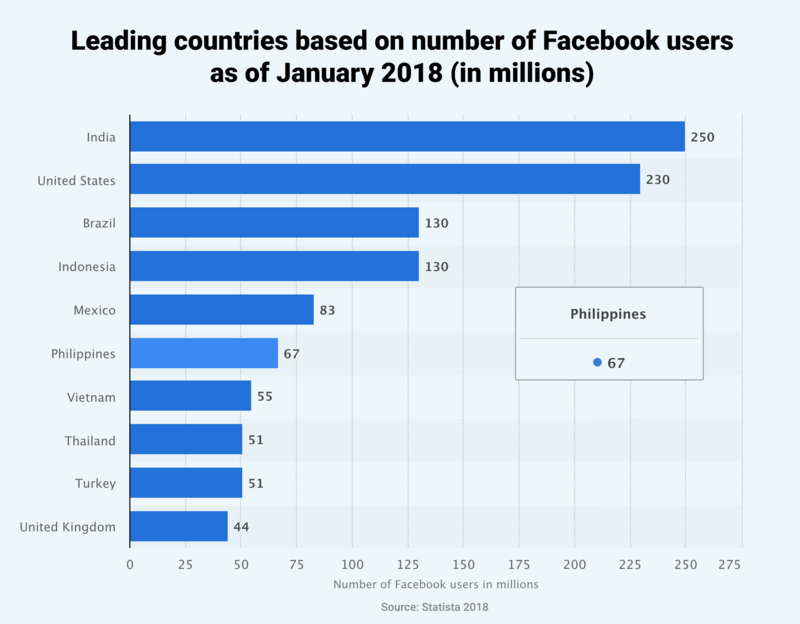 The U.S. in January 2018 had 105M landline net connections and 240M Facebook users. 72% of Americans on the Internet use Facebook. The figure is probably lower where English is not the primary language. That's useful for an approximation, understanding there is at least a 10% margin of uncertainty. I have from Point-Topic the number of landlines and reasonable estimates from GSMA on the wireless phone side. I could have refined these figures with a little more work, as an analyst report would. But the primary sources on the wireless side have a large margin of error. The definition of "Regular Internet User" is unclear. If someone signs on to Facebook and reads the news every day, but uses a 2G phone, should she be included? There are over 100M 2G mobiles on Facebook. Originally published in Wireless One. Local Time: Thursday, April 18, 2019 10:18 AM PDT – Page Load: 0.2924 Sec.